Bring home a collector favorite! Blythe loves Littlest Pet Shop, and she sent her animal pals a postcard. Each tiny pet includes a postcard from Blythe, which makes all little critters happy! 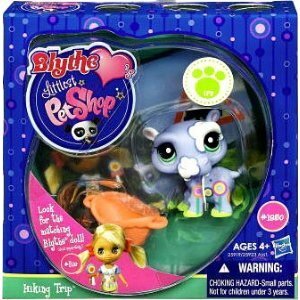 * Travel the world with Blythe and Littlest Pet Shop! * Each set includes a Blythe Doll, a pair of pets, and awesome accessories!